The garda pistol club is critical of the new ban. 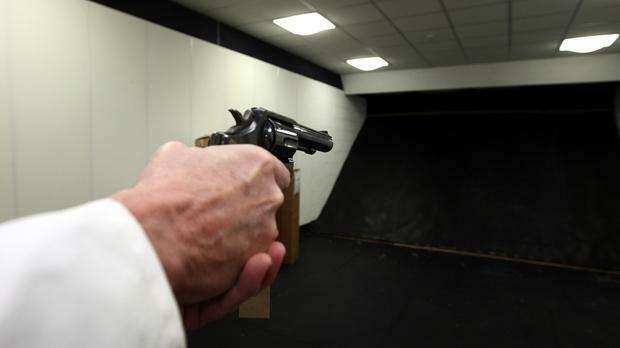 THE former head of ballistics with An Garda Síochána has described as "nonsensical" a drive by senior management to make possession of sporting firearms illegal. "There is a view among some senior garda officers that this would essentially finish off our sport here in Ireland," said Mr Brennan. "We have had superintendents across the state trying to revoke firearms licences and in every single case taken to court, those firearms licences have been given back. "I am disturbed to hear some of my former colleagues constantly referring to our guns as weapons. Something only becomes a weapon when it is in the wrong hands and that applies as much to a golf club or a set of kitchen knives as it does to sports pistols." "We have massive security around our firearms, kept in alarmed safes and locked in special cases when being transported to ranges," he said. "Our pistols are completely useless as personal protection weapons. The guns are broken up and put away and it would take 45 minutes to reassemble them." Mr Brennan was critical of the view that legally-held firearms pose a danger to the public. "That's nonsensical and a bit of a joke really," he said. "An Garda Síochána and the Department of Justice would be much better off focusing their attentions on eradicating the vast amount of illegal firearms from our country. "I've yet to hear anyone ­describe any of the recent killings in our country as having been carried out by someone holding a legally-held machine gun."